To debug an app, developers generally need to install various other programs which takes up a lot of time. Simply put, debugging an app is not a piece of cake. This holds especially true when it comes to debugging an iOS app on a Window’s desktop. Now, Microsoft owned Xamarin’s new Live Player is all set to change that. 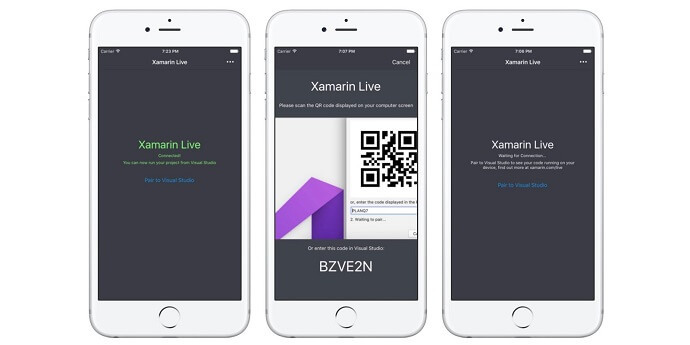 On May 11, 2017, Windows announced the launch of Xamarin Live Player, an app that can be debug iOS apps without using Mac. It works simply by scanning a QR Code. Also see how QR Codes are being used for security purposes. The app is then visible on the Xamarin Live Player app on the scanner’s mobile device where they can make the required changes. Currently, the app allows only testing on a Windows desktop. To upload an iOS app to the App store, the developer would still require Xcode, which only runs on Mac. This announcement follows the launch of Microsoft’s Visual Lead 2017, an iOS app that allows developers to create web and cloud apps using Xamarin and .NET core. With the Xamarin Live Player, developers can pair Visual lead 2017 with the Live Player app by scanning a QR Code. Xamarin Live Player will soon be available for download on both App Store and Google Play Store. Also, the Xamarin extensions for Visual Lead 2017 have been made available since May 11, 2017. Will the Xamarin Live Player make creating and testing apps easier for you? Share your thoughts in the comments section below.